Grandson over the moon with the watch. Very happy on taking delivery and being able to handle and inspect the watch. It is as attractive as its picture suggested and the convex shape avoids catching on ones sleeve.The various functions were relatively easy to set up and the strap is comfortable to wear.The adjusting buttons are attractively prominent for ease of use and the wealth of functions are excellent for the modest price paid.There does not appear to be any negative points to this model. Nice watch with many useful features, good value for money. My first purchse from Watchshop recommended by a friend. Website easy to navigate and purchase. 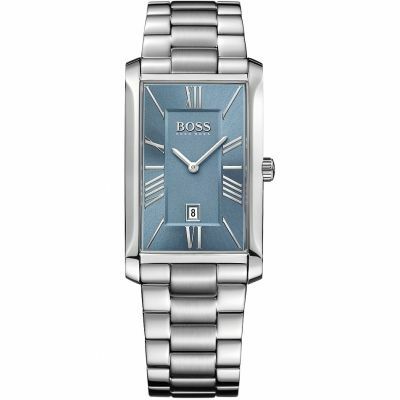 I am not a watch expert however looked at a few before selecting this watch as a birthday gift for my nephew. I collected from Goldsmiths Jewelers in London and that was a smooth experience as well the assistant said it was a very good watch and they dont stock that make. I have yet to deliver the gift, however Im sure my nephew will be pleased with it as I am. Lovely watch comfortable fit easy to read, easy to set time & date love the yellow buttons a very stylish watch looks costlier than it was nice multi functional watch with easy to use settings for stopwatch and other functions nice brushed metal watch face surround nice sized comfortable strap overall an excellent watch for the price I would highly recommend it. Great watch especially for the price. ideal as an every day watch. simple & cheap, sits nicely on the wrist and does everything it needs to do. This watch was a present for my nephew for his birthday and was great - the watch came in great packaging and has been a real treat. 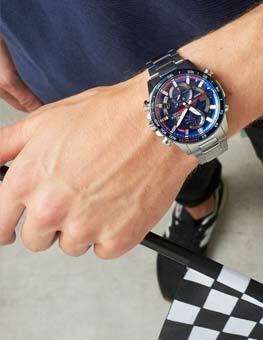 My nephew had his eye on a particular watch but this was seen as being something too expensive for a teenager to weart on a daily basis - this watch however has ticked all the boxes and made him very happy. 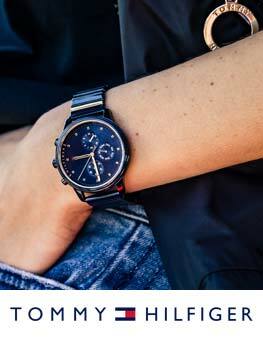 A light and easy-to-use quartz sports watch with a comfortable rubber strap. It is an analogue watch with digital features including day and date, countdown, stopwatch, alarm, and time for a second time zone. The hour and minute hands are luminous but there is also a backlight if required. 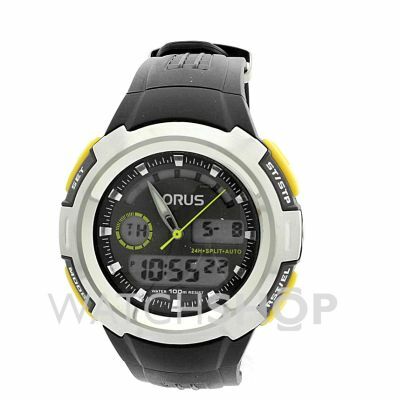 It has a water resistance of 100 metres. Bought as an Xmas present as identical to one which is broken but loved do much and needed to be the same as for a darts player. Great service, arrived a couple of days after my order. 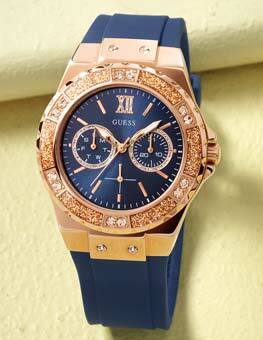 Lovely watch for the price with great features. 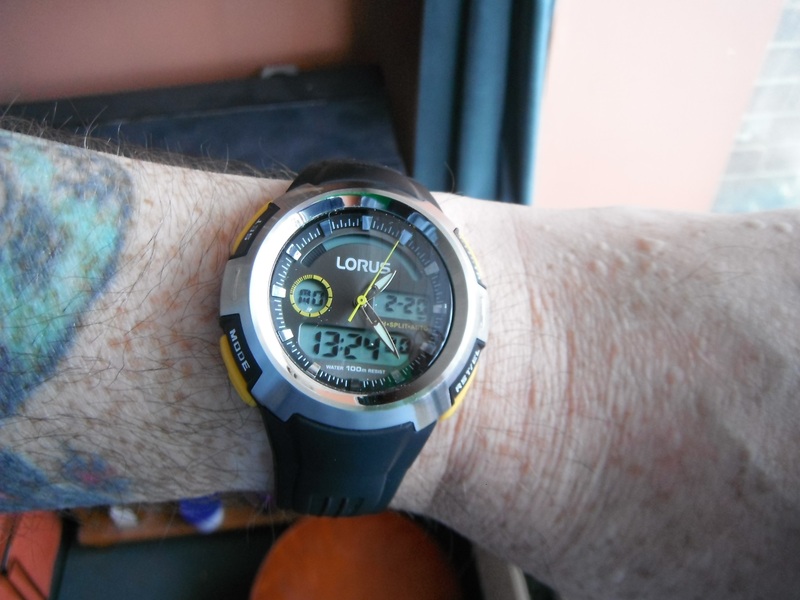 This watch is ideal being of reasonable size, backlit, with analogue and dual time. All easy to use. Needs to be waterproof for diving and sailing. Brought this watch as an Xmas gift, but seriously thinking of keeping it for myself lol. At just £29, it has to be THE Xmas bargain this year. Looks even better than the picture and feels great. Looks like its built to last too, which i cant say about others Ive purchased from elsewhere. Love the yellow in the watch, which makes it stand out. Very easy to set up date, time, alarm etc. Came in a very nice package/box, with tag and manual. And the delivery.... Fast, well ordered at 13:40 Thursday, it arrived at 08:30 Friday. Super fast id say. Overall, Fantastic watch, fantastic price. And fantastic service. 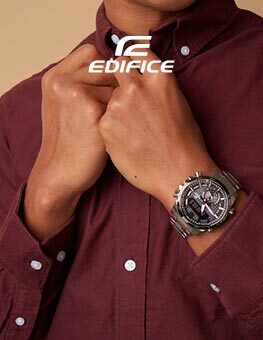 I have chosen this watch because it looks stylish and has got analogue and digital time display.The date,day,month and year on the digital display is very easy to read.The analogue time display is also very easy to read.The watch is also comfortable to wear. Lorus is part of Seiko and this watch is made in Japan,so hopefully should last a long time. This watch is spot on for what i need. I was looking for a watch that wasnt too expensive, but would give me all the features i wanted from a watch. I have quite big wrists and a lot of watches just dont fit, but this one has 3 spare holes left on the strap which is really good for me. It is very easy to set up and adjust the time, and the instructions are clear concise and straight forward. In my opinion the watch is very aesthetically pleasing. The watch features analogue & digital time displays, an automatic calendar, daily alarm and hourly chime (If required), a second time zone, countdown timer, stopwatch, 12 or 24 hour format, and an elctro-luminescent backlight that illuminates the display in darkenss. It is water resistant to a depth of 100 meters. The display is clear and easy to read. This model has a very comfortable black rubber srtap with silver metal buckle, and a brushed steel strap stay. The watch surround has 4 yellow function buttons, 1 in each corner, and a standard silver crown for adjusting the analogue time on the right hand side, it has a 6 spoked brushed steel effect non moving bezel encasing the surround. The face is a metallic graphite grey with 4 digital display panels, a circle display panel on the left of the face displays the day, and is surrounded by a small yellow circle, the larger display at the bottom of the face shows the time, a smaller rectangle display on the right shows the date, and an arched display at the top of the face shows the animation dots. All the displays have a different function depending on what mode the watch is in. The hour and minute hands are both silver coloured and have a luminescent strip, and the second hand is yellow. The outside of the face has 12 silver colour hour markers, seperated by minute markers. I am very pleased with this watch and would recommend it to anyone looking for this style of watch.